Home » Football News » FIFA suspends Sierre Leone FA over "government interference"
The Bureau of the FIFA Council on Friday suspended Sierra Leone Football Association (SLFA) with immediate effect owing to what the governing body of world football claims to be "government interference." "This decision comes after a recent letter from FIFA to the Minister of Sports of Sierra Leone to express grave concern about the removal of the SLFA President and the SLFA General Secretary and to request that both be allowed to access the SLFA premises without further delay to ensure that the operations of the SLFA, including FIFA-funded projects, are not jeopardised," a statement from FIFA read. "The suspension will be lifted once the SLFA and its recognised leadership (led by SLFA President, Ms Isha Johansen, and SLFA General Secretary, Mr Christopher Kamara) have confirmed to FIFA that the SLFA administration, premises, accounts and communication channels are under their control once again," the statement added. 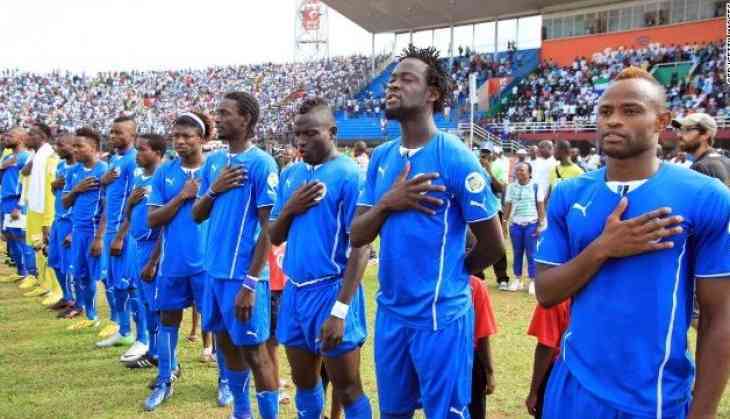 The suspension means that neither the Sierre Leone national team nor any clubs affiliated to the SLFA can take part in any international tournament until the suspension is lifted. FIFA's statement also mentioned that the suspension meant that "neither the SLFA nor any of its members or officials may benefit from any development programmes, courses or training from FIFA or CAF," adding that in accordance with article 16, paragraph 3 of the FIFA Statutes, other member associations may not entertain sporting contact with the SLFA during its suspension. The suspension comes in the wake of the removal of the SLFA president Isha Johansen and general secretary Christopher Kamara by the country's Anti-Corruption Commission, five days before they were scheduled to take on Ghana in a group F encounter of the Africa Cup of Nations (Afcon) qualifiers, Goal reported. The suspension will hamper the West African nation's chances of qualifying for the continental tournament. Kenya and Ethiopia are the other members of the group.